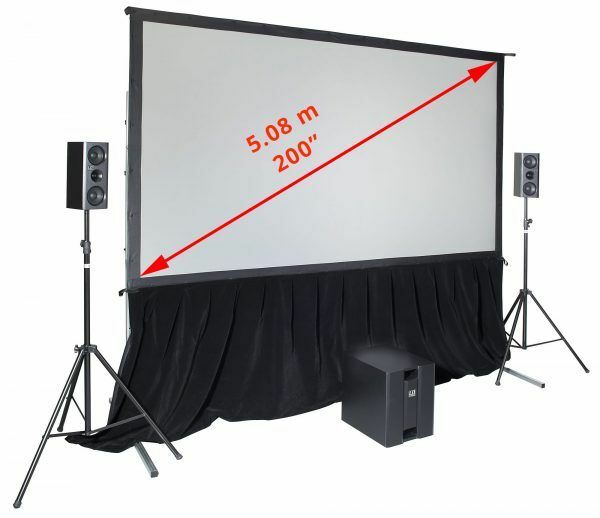 SmartFold Indoor Projector Screen of this size is perfect for a large presentation or group entertainment for big crowds. 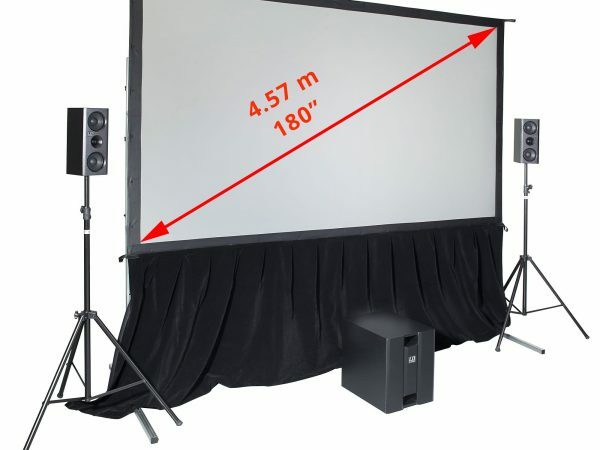 This system is light to move into position; assembly and pack-up is fast and simple; with the entire frame and surface packing neatly into the compact yet rugged road case for easy transport. Please read the inclusions tab to see what will be included with your screen or call 03 9729 6300 to discuss alternative options. Due to the nature of the electronics industry from time to time products will be unavailable without notice, although we endeavor to stay ahead of the curve, this is not always possible; We will contact you within 48 hours after the order has been placed (via e-mail or Phone) if a substitute of equal value and specifications will be used in place of the original stated product.